Our client was charged with one count of driving under the influence of alcohol (Vehicle Code Section 23152(a)), a misdemeanor, one count of violation of driving while having a 0.08% or higher blood alcohol level (Vehicle Code Section 23152(b)) and one count of transportation of marijuana (Health & Safety Code Section 11360 (a)), a felony. 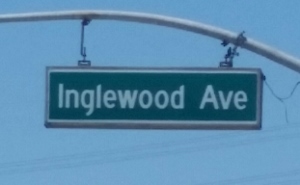 Police stopped our client at approximately at 11:45 p.m. as he allegedly was weaving in and out of his lane and thereby impeding traffic on Inglewood Avenue in Redondo Beach. When police approached the vehicle, they smelled marijuana. They then asked our client and his passenger if either had been using marijuana. Our client’s passenger immediately produced his medical marijuana prescription, which allows him to have up to eight ounces with him. Our client stated that he had not been smoking the marijuana while driving. Apparently satisfied that the marijuana was accounted for and its use legal, officer allowed the passenger to leave the scene. Officers then conducted a field sobriety check on our client and he allegedly failed it. Officers also used a portable alcohol screening device to sample our client’s breath to evaluate his blood alcohol content. It was 0.10%. Officers then decided to tow our client’s vehicle. Before doing so, officers conducted an inventory search and found 7.5 ounces of marijuana in the trunk, rolled up in the passenger’s sweatshirt. Officers quickly pinned the marijuana on our client (the only one left), as police had allowed the passenger to leave the scene. The District Attorney then charged our client with transportation of marijuana, a felony, and DUI. In 50 Words or Less: Redondo Beach, felony transportation of marijuana and DUI, delayed entry of plea with six month drug treatment program for drug charge, then dismissal. The case was filed in Torrance. At the preliminary hearing, the passenger refused to testify that the marijuana was his, as he knew that he would face federal criminal liability for such an admission. Thus, the District Attorney and our client were faced with a situation wherein it was disputed whether our client knew the marijuana was in his car while he transported it. California law is clear that a medical prescription for marijuana does not provide an affirmative defense to transportation of marijuana charges, but lack of knowledge is such a defense. Greg Hill of Greg Hill & Associates negotiated a plea bargain for the client in which all charges would be dismissed in 18 months if our client agreed to plead no contest to transporting marijuana, (Health & Safety Code Section 11360 (a)) and DUI. The deal reached involved no jail or prison time and no formal probation for our client. Prison time was a big concern of our client. He also was particularly opposed to formal probation. As part of the deal, the client has to complete a six month drug treatment program, as well as the three month first time offender program for DUI and stay out of all trouble for 18 months. This case summary describes a case we handled before Prop 64 became law, legalizing adult use of marijuana and dramatically changing the law on possession, transportation and sales of marijuana.